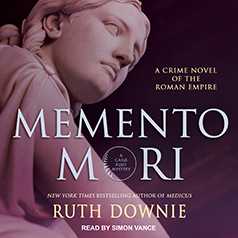 Ruth Downie presents the eighth novel in her acclaimed Roman Empire series. Ruso and Tilla do their best to help, but it's difficult to get anyone—even Valens himself—to reveal what really happened. Could Ruso's friend really be guilty as charged?